Sagar Prakash alloys is the best manufacturing company of Aluminium Flanges. 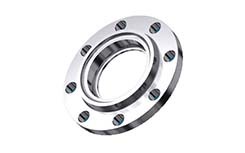 It includes aluminum slip flange, aluminum plate flanges, aluminum raised weld neck flange, aluminum spacer flanges, aluminum flat face flanges, aluminum threaded flanges, aluminum large diameter flange etc. It is manufactured in various standards like aluminum ASME flanges, aluminum BS flanges, aluminum ANSI flanges, aluminum DIN flanges. The standard specifications of the Aluminium Flanges are GOST-12820, UNI, EN1092-1, AS2129, ASTM, SABS1123, DIN, ASME, ANSI, DIN, and JIS. The available dimensions of the flanges are ASME/ANSI b16.47, B16.5 series A and B, BS4504, B16.48, BS 10, EN-1092, DIN etc. The designations are A182 F1, F9, F5, F11, F91, and F22. The available classes of flanges are class 150, class 2500, class 1500#, class 900, class 400, class 300, and class 600. The size in which the flanges are available is ½” NB to 24”NB. The material used in flanges are St45.8, A182F12, 12Cr2Mo1, A182F11, 15CrMo, A335 P22, 16MnR, 12Cr1MoV. The pressures are PN160, DIN PN6, PN100, PN16, PN10, PN25, Pn64, and PN40. Aluminium 1100 Orifice Flanges, RoHS-compliant Aluminium Flanges, Aluminium Spectacle blind flange, Aluminium Flanges, ASTM B247 Aluminium Slip on flanges, Aluminium 2024 Forged flanges, Alloy 3003 Ring type joint flange, Aluminium Socket weld flanges, ASME SB247 Aluminium Blind flanges, Aluminium 5052 Welding neck flanges, Aluminium Flanges Supplier. The Aluminium Flanges are available of various kinds of aluminum weld neck flanges, aluminum screwed flanges, aluminum blind raise face flange, aluminum ring joint flange, aluminum SORF flange, aluminum BLRF flanges etc. To buy the flanges you need to necessarily specify the seller all about your requirements. The seller will prepare the product according to the exact requirements and will ship it to your door step. Just ensure that you have placed an order for the exact flanges that are required you as per the requirements. Dimensions ANSI/ASME B16.5, B 16.47 Series A & B, B16.48, BS4504, BS 10, EN-1092, DIN 3.1254, etc. Standard ANSI Flanges, ASME Flanges, BS Flanges, DIN 3.1254 Flanges, EN Flanges, etc. DIN 3.1254 Slip On Flanges, ASME Slip On Flanges, Aluminium Slip On Flanges, Aluminium 1100 Forged Slip On Flanges, ASTM B247 Aluminium Slip On Flanges, Aluminium DIN 3.1254 Slip On Flanges, Aluminium UNS A96082 Slip On Flanges, Aluminium 2011 Slip On Flanges, Aluminium A96082 Slip On Flanges. Aluminium Weld Neck Flanges, Aluminium DIN 3.1254 Weld Neck Flanges, Aluminium UNS A96082 Weld Neck Flanges, Aluminium 3003 Weld Neck Flanges, ASTM B247 Aluminium Weld Neck Flanges, Gr.6063 Weld Neck Flanges, Aluminium 2024 Weld Neck Flanges, Aluminium A96082 Weld Neck Flanges. Aluminium Blind Flanges, Aluminium 6061 Blind Flanges, Blind Flanges, Aluminium UNS A96082 Blind Flanges, Aluminium DIN 3.1254 Blind Flanges, ASTM B247 Aluminium Blind Flanges, DIN 3.1254 16.5 Blind Flanges, Aluminium Grade 3003 Blind Flanges, Aluminium 5052 Blind Flanges, Aluminium A96082 Blind Flanges. ASTM B247 Aluminium Socket Weld Flanges, Aluminium DIN 3.1254 Socket Weld Flanges, Aluminium Socket Weld Flanges, Aluminium 7075 Socket Weld Flanges, Aluminium UNS A96082 Socket Weld Flanges, Aluminium 16.5 Alloy 6063 Socket Weld Flanges, A96082 Aluminium Socket Weld Flanges. Aluminium A96082 Flanges are manufactured and controlled to international standards such as ASTM, ASME, BS, MSS, EN, DIN or WERKSTOFFE. Our products undergo stringent quality tests before they are dispatched. Italy, South Korea, Croatia, Belarus, United Kingdom, Poland, Iraq, Singapore, Netherlands, Nigeria, Zimbabwe, Malaysia, Nigeria, Germany, Jordan, Ireland, Mexico, Canada, Spain, Philippines, Kuwait, Russia, Angola, Norway, Yemen, Nepal, Finland, Gabon, Macau, Bulgaria, Peru, India, Algeria, Bahrain, Tibet, Slovakia, Ghana, Portugal, Bangladesh, Romania, Venezuela, Saudi Arabia, Gambia, Kazakhstan, Iran, Indonesia, Thailand, Chile, Mexico, France, Serbia, Libya, Denmark, Vietnam, Japan, Brazil, Mongolia, Czech Republic, Pakistan, Lebanon, Taiwan, Belgium, United States, China, Switzerland, Sweden, Chile, Afghanistan, Israel, Lithuania, Austria, Oman, Bolivia, New Zealand, Ecuador, Iran, Estonia, Qatar, Bhutan, Australia, Hungary, Sri Lanka, Turkey, Costa Rica, South Africa, Trinidad & Tobago,Tunisia, Egypt, Puerto Rico, Greece, Azerbaijan, Ukraine, Colombia, Poland, Argentina, Hong Kong, Namibia, Kenya, United Arab Emirates, Morocco. Ahmedabad(Gujarat), New Delhi, Navi Mumbai(Maharashtra), Thane(Maharashtra), Pimpri-Chinchwad(maharashtra), Bhopal(india), Rajkot(Gujarat), Kolkata(West Bengal), Howrah(West Bengal), Bengaluru(Karnataka), Coimbatore (Tamil Nadu), Surat(Gujarat), Thiruvananthapuram(Kerala), Visakhapatnam(Andhra Pradesh), Vadodara(Gujarat), Chennai(Tamil Nadu), Haryana(india), Chandigarh(Punjab), Ludhiana(Punjab), Faridabad(Haryana), Indore(Madhya Pradesh), Gurgaon(Haryana), Mumbai (maharashtra), Pune(Maharashtra), Ernakulam(Kerala), Hyderabad(Andhra Pradesh), Secunderabad(Hyderabad), Noida(Uttar Pradesh).